Why is it so Difficult to Create Space for Others? 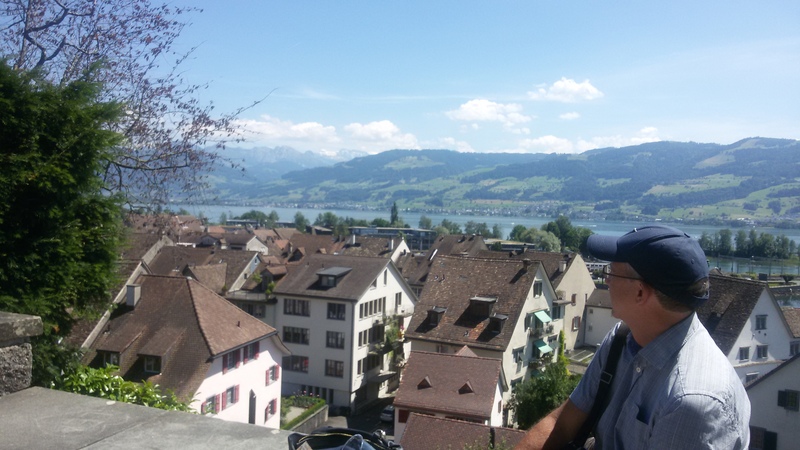 A few weeks ago I was in the beautiful city of Zurich, Switzerland. A city and country that has provided refuge for groups fleeing various forms of persecution and distress. While there we visited a museum dedicated to the Polish community that has found Switzerland a place of invitation and hospitality during periods of great struggle in their homeland. I found myself longing to be someone that can offer this kind of hospitality to those that are the “other” to me, those that need a gracious presence. To offer space where change can take place. Not necessarily change according to what we would expect or imagine. But to provide people with a gentleness of soul and a listening ear that opens a way that may have not been there before. As Nouwen writes, it is to offer a freedom “not disturbed by dividing lines.” And to me one of the most powerful lines of this quote, “It is not to lead our neighbor into a corner where there are no alternatives left.” How many times in conversations with people or in my thoughts about them have I desired to bring them into a corner of my own choosing. Instead of creating space for them to walk in freedom of thought and action, I have created a place where there are no alternatives left except the embracing of my views or a distancing in relationship. Why is it so difficult to create this kind of space for others, either as a nation or in our own homes? The short answer is that we so fill up the space already that there is no more room. No real room anyway. No room for us to be affected by someone else’s story or pain. We may listen for a few minutes to another, only to continue on in our own perspective unaffected. Even worse to reject their viewpoint, story or suffering as inconsequential for our lives. I fill up the space by making my own ideas and perspectives the whole story. There is no more room as I have filled it already with my own reactions, need to fix things, need to offer solutions, need to be seen as helping. When there is no room in our hearts and lives, people know it. People sense it. There is a depth of pain when we have been backed into a corner by someone and find no alternatives given for a way out of their own expectations for our lives. To open space in our hearts is not easy. It requires a courage of faith that we can open our lives to the “other”, whether that is the presence of God or the presence of another human being different than us. A few days ago there was a knock on my door and I opened it to find two young men waiting expectantly. They were there to offer me what they believed as missionaries of their faith. It was not a faith that I shared and I was tempted to quickly say no thanks and shut the door. Instead I responded with a rather robust and enthusiastic witness to my own love for Jesus, which I suspect caught them off guard when I said I was also a missionary! Instead of an argument the encounter had the reality of engagement. One of the young men then asked this question, “how can we help you?” I was in turn caught off guard, and my response was a continued invitation for the creation of space. This encounter was only a few minutes, and certainly not dramatic. But it was a different spirit than I have sometimes participated in before. What would it be like to live in such a way that each encounter in my life creates space for the other, rather than a backing them into the corner of my own expectations? What does it mean for me to let go of how I have filled up the space in and around me, and open myself to God’s presence and the presence of others? How do you create space for others? How do you let go of expectations and opinions that fill up the space within and around you? I came across the blog below which I think speaks to Steve’s message, in that the power of the words we choose can either create space or destroy space for those we interact with. Years working as a professional mediator have confirmed to me that words have a power far greater than the breath required to speak them. It’s not just the words, rather what is heard in, through and behind such words. They have the power to escalate conflict, generate violence or to calm a volatile situation. The reason is that from the start of time, words lie at the heart of creation. God spoke and life emerged. The whole of our creation was spoken into being. God’s word continues to have great power, for it is that word by which our lives, individually and collaboratively, are directed and sustained. Failure to acknowledge the power of words can lead us into difficult circumstances. Who among us has not lived to regret a smart alec remark made under duress, or an emotional outpouring that caused havoc? Our words always have a return. God is forever a God of encouragement. He speaks of a hope and a love available to all, no matter creed, colour or social background. While Christians so often prefer to define themselves by what they are against, scripture speaks continuously of all that God is for. Isaiah describes that God’s word cannot leave his mouth without producing fruitfulness. Hence, as we read God’s word, take it seriously and invite it to seed itself in our lives, so we can grow into the people God created us to become. Sadly, many of us have negative experiences from parents, spouses, teachers and employers in which words have been used to manage and control by stressing negative aspects and finding fault with us. God however thinks we are special and unique and he loves us. Communicating these truths is part of the mission of the Church. Thanks Don for posting that! It is so true, the power of words! !